Trident Maple Forest on a slab. 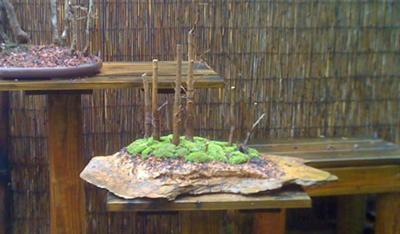 This trident maple forest was completed in February, 2011 in a workshop at my local bonsai nursery. The slab is about 18" in length. Of course, the trees are dormant right now, but they should grow out nicely in the next few months. I am very excited to see this forest grow up!